IPHA Zing Pod Starter Kit is an innovative pod system kit comes with 350mAh built-in battery and 2ml refillable pod cartridge best for nicotine salts. The most innovative point different from other pod kits is that it adopts advanced anti dry hit technology, Zing will stop working to avoid burnt tasts and protect itself when the e-juice almost drains. 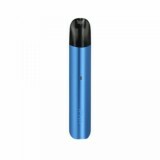 IPHA Zing Pod Starter Kit is an innovative pod system kit comes with 350mAh built-in zing battery and 2ml refillable zing pod cartridge best for nicotine salts. Different from IPHA Swis Pod Kit, Zing is made of light, solid aluminum alloy material, which makes this kit more elegant and ergonomic. You can put it in your pocket for easy outdoor vaping. The most innovative point different from other pod kits is that it adopts advanced anti dry hit technology, Zing will stop working to avoid burnt tastes and protect itself when the e-juice almost drains. So you will have the best vaping flavor that other pod kits will never have. Together with 0.8ohm SS316 coil and 5 protect modes, IPHA Zing Pod Kit will bring you unprecedented super taste! • It doesn't come with e-liquids, please buy them separately. We highly recommend you to use Zing Pod with Nic-salt e-juice for the best flavor. • The Zing battery and Zing Pod are also available in BuyBest. Why is a pod system? A pod system is a mini vape which usually comes in two parts, a pod with e-juice and a battery usually in a compact size. Typically, the pod systems can be divided into two categories; the refillable pod systems and the pre-filled pod systems. Some pod systems come with a fire button, but most of them are draw-activated. 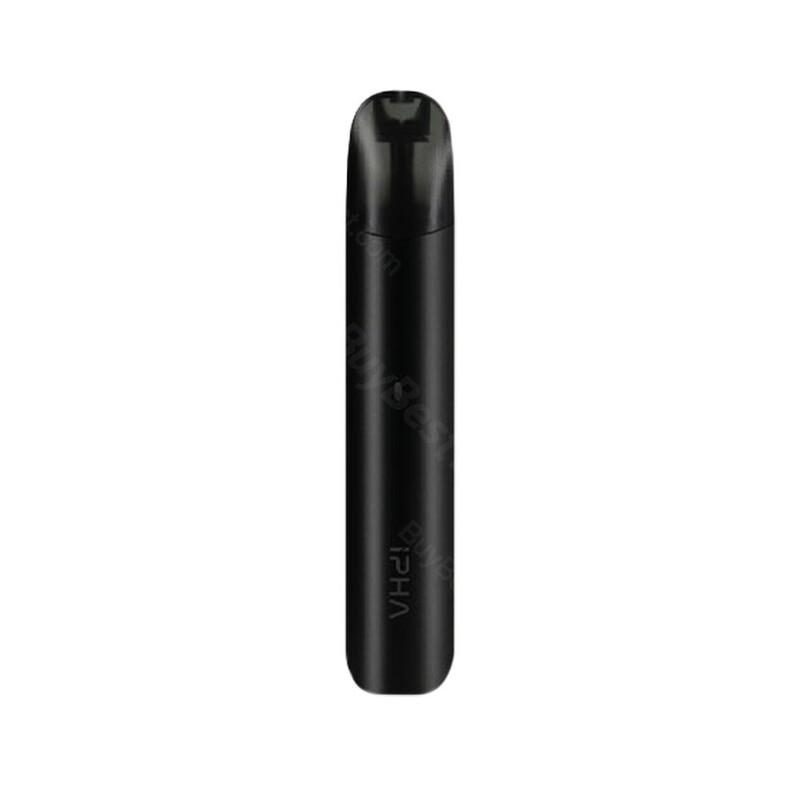 Pod systems are perfect for smokers who are transitioning into vaping and are mouth-to-lung vapers who enjoy salt nicotine because they are compact in size and can provide them with a cigarette-like draw. The pod systems are becoming increasingly popular among vapers because they enjoy a lot of benefits compared with other vape devices. First of all, pod systems are simple and easy to operate. They are usually has a compact size, perfect for those who enjoy stealthy vaping. Thirdly, they can provide a tight draw similar to that of tobacco cigarettes, perfect for the smokers who want to quit smoking. Last but not least, pod systems are easy to maintain and consume much less e-juices compared with other vape products, so they can save vapers a great amount of money. If you want to vape in an economic way, the pod system is a solid option. In today article, we will focus on a new innovative pod system - the IPHA Zing Pod Starter Kit. The IPHA Zing is a new portable pod system with ergonomic design and elegant appearance from IPHA. 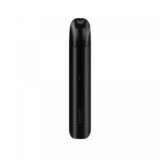 Powered by a 350mAh in-built battery that you can charge via a charging port with a Micro-USB and the advanced anti dry hit technology with an intelligent LED indicator to avoid burnt taste and provide multiple types of protections to avoid potential risks, which makes it different from other pod kits on the market today, the IPHA Zing pod system supports an maximum power output of 10W for safe usage and optimal flavor. Measuring 108.5mm by 20mm by 12mm, the compact pod system is one of the most pocket-friendly pod systems, a great choice for those who want to vape on the go. Together with a 2.0ml refillable pod with convenient bottom filling system, the sleek pod system is compatible with a 0.8ohm SS316 coil, perfect for Nicotine Salts and MTL vapers. Made of light, solid aluminum alloy for portability and durability with exquisite craftsmanship, the surface of the IPHA Zing pod system is anodized twice and the edges are processed by CNC to make the IPHA Zing shiny and beautiful, with a weight of only 17g, making it one of the lightest and most durable pod systems available on the market today. 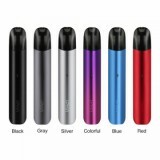 More importantly, the IPHA Zing Pod Starter Kit is sold only 23.80 dollars on BuyBest, a great price for such a beauty. The IPHA Zing Pod Starter Kit comes with a Zing battery, a Zing Pod, a Charge Cable and a User Manual. As the IPHA Zing pod system does not come with e-juices, so you need buy your e-liquids separately. Since the IPHA Zing pod works perfectly with the Nic-salt e-juices, we highly recommend you to use the pod system with Nic-salt e-liquids for the purest flavor. Lastly, you can buy your Zing battery and Zing pod separately on BuyBest. Excellent pod kit, the flavor is the best that I have ever tasted, Ipha Zing is the best pod kit that I have! no need to worry the burnt any more.